"The time has come to reclaim the Kenya Sevens team." 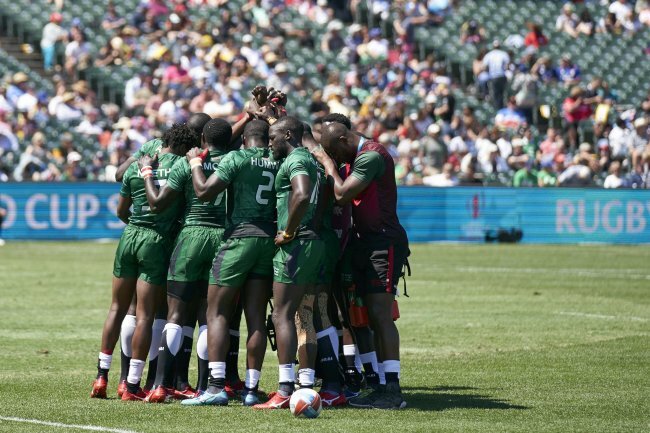 Richard Omwela, the Kenya Rugby Union chairman who watched the dismal performance by the team at the conclusion of the 2018 Rugby World Cup Sevens at the AT&T Park said it was back to the drawing boards after a long season. When the players return home, their contracts would have lapsed and the KRU will wait for a report by the technical bench before announcing the next step. "As we speak, the contracts between KRU and the players ended after the RWC 7's. What that means is that we will have new contracts and every player will be considered on own merit." What the KRU chairman did not clarify was whether the team had been disbanded or not. Omwela admitted KRU lost control of the team during the last two World Rugby Sevens World Series tournaments in London and Paris. "It appears the Union has been unable to have a say on any activities by the team. We have no objection to looking after the players but need to put our house in order," Omwela stated. This was in reference to the actions which were taken by KRU to determine the circumstances which led to the team not wearing jerseys with a sponsor's logo. "We called for a meeting with the team after the tournament in Paris to have them individually state their actions but instead, the coach took responsibility," Omwela recalled. It was from this juncture, when the government stepped in and some sponsors took sides with the players that KRU seemed to have surrendered the control in the team. Omwela did not mince his words saying it was no secret that the players trained at their own convenience and their schedules were not coordinated by the Union. He alleged the players were unavailable for activities with the sponsors which were a part of the contract. When asked to explain, Omwela alleged interference by individuals from the sponsors who 'incited' players to be paid their dues. "We have proof of this," he assured. The KRU chairman said it was not bad for players to talk to anybody. "Somebody needs to be in control and at the moment KRU are in the best position to do that," he asserted. Cracks in the playing unit did not escape the attention of Omwela who alleged there was need to have a unified voice. "At the moment, the senior players appear to be having a big say in what happens." The chairman added that all the outstanding allowwances and salaries of the players had been paid up to June. From his body language and tough stance, there is no doubt that heads are going to roll when the team lands back. "Kenya did not play well in San Francisco. It has been a long season and we are grateful but how do you explain blowing a 26-0 lead against Scotland?" Signs that there could be major changes in the team was a hint by Omwela that selectors are already looking at more talent at the start of the KRU National Sevens Circuit which kicked off in Nakuru at the weekend. During the Circuit, the selectors will pick a few players to join the wider squad.